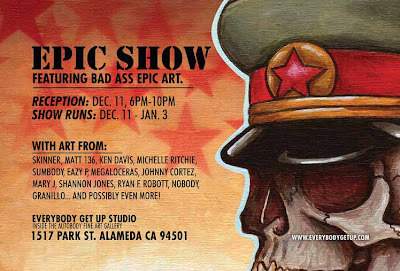 Check out Epic Show, December 11th. Everybody Get Up! Is a coalition of artist from all around the Bay Area California. The artist who founded it are Anybody, Nobody and Sumbody. They spray, paint and screen on everything. They just have one slogan and that is for Everybody Get Up!